Some travellers seek holidays where they can truly charter their own destiny and who want to take their accommodation with them as they travel around Victoria. 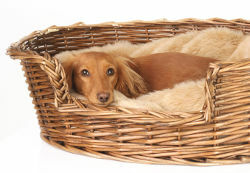 Caravans, campervans and motorhomes are an ideal option for this purpose. A caravan is a mobile home on a trailer, towed behind a vehicle. 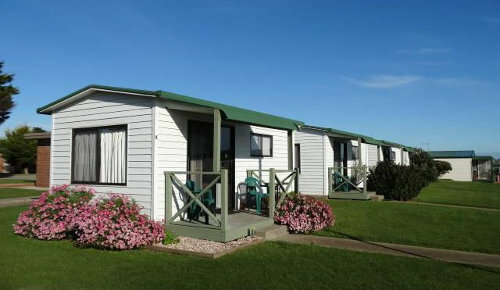 It is equipped with bedding and cooking facilities and many also feature a shower and toilet. 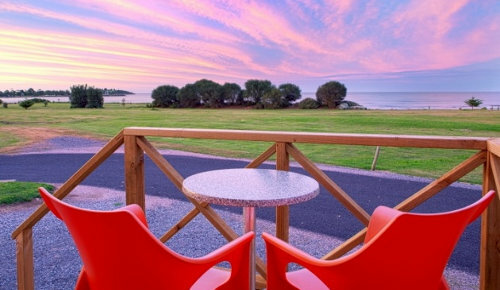 When travelling in Victoria with a caravan, you can stay overnight at designated camping areas with basic facilities, or pull into one of the state’s hundreds of caravan or tourist parks. These parks vary widely in their facilities, but all provide, as a bare minimum, electric power connections, communal cooking and bathroom facilities. 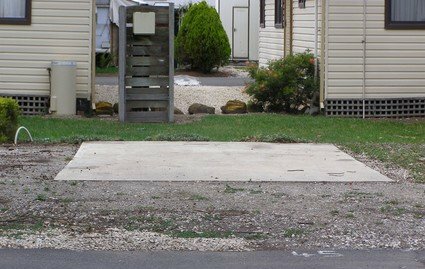 Some provide ensuite sites where your van is parked beside a private bathroom reserved for your use only. 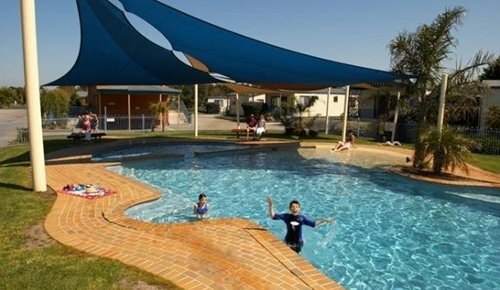 Many caravan parks have developed into fully-appointed resorts set within landscaped grounds that also offer luxury cabin accommodation, a huge range of family-friendly recreational facilities and onsite activities for guests. 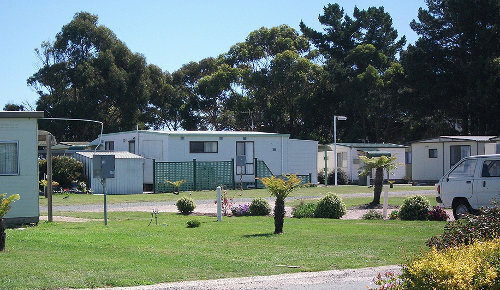 Locate caravan parks in Victoria by going to accommodation search and selecting caravan park in the preferred accommodation style box. Campervans and motorhomes are vehicles which provide transport and accommodation all in one. A motorhome is typically built on a truck or bus chassis and provides fully self-contained and reasonably spacious accommodation including kitchen and bathroom facilities. A campervan is generally a smaller vehicle in the style of a van, a bit tighter on space, which is fitted out with basic living facilities. 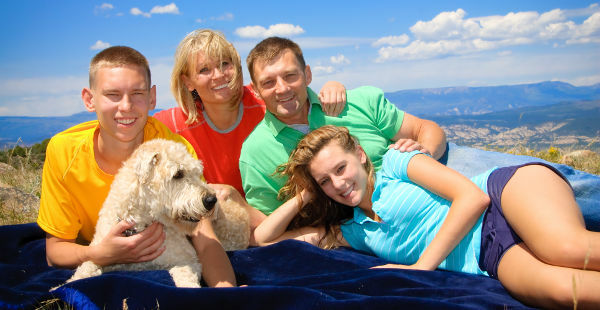 Motorhome and campervan rentals range from budget to luxury and can sleep between 2 and 6 people. 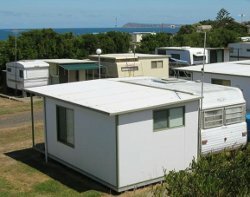 Motorhomes usually do not require anchor to a caravan park-type facility because they are fully self-contained, whereas some of the smaller campervans are more suited to the traveller who expects to end each day in a caravan or camping ground spot where they will find toilet and shower amenities that are not contained within their campervan sleeper. If you’re thinking about planning a campervan holiday, have a read of 101 Campervan Tips. If you or your family have mobility impairments, there are a number of accommodation options throughout Victoria that may suit your needs. 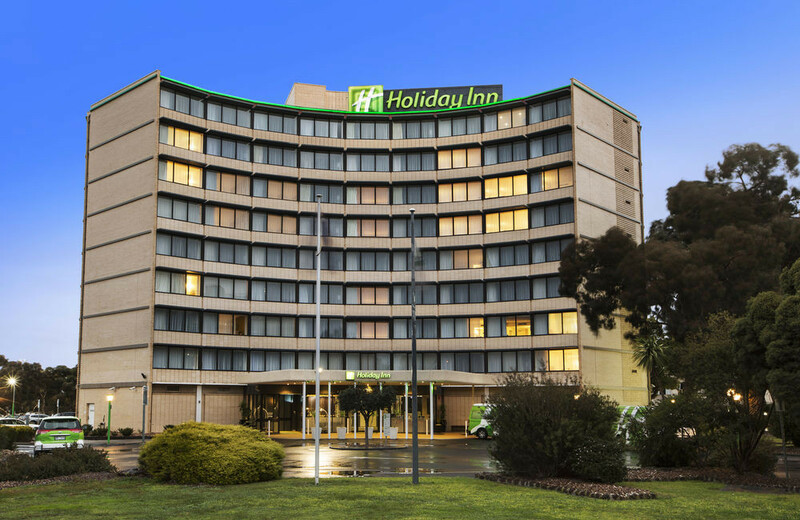 Hotels and motels are often able to cater for disabled and wheelchair-bound visitors thanks to their modern layout, lifts and the use of ramps instead of stairs. A growing number of larger hotels, motels and apartments will have certain rooms designed to accommodate those who may need extra space or aids. One of the biggest issues for those seeking suitable accommodation is the huge variability in what is classified as “disabled access”, “wheelchair accessible”, or other similar terms. As such, it is always advisable to contact these establishments prior to making a booking to ensure that the facilities are suitable for your level of mobility and requirements. Is there suitable parking close by or designated disabled parking spots in a convenient location? Can you access the reception area easily? Are there automatic opening doors at the entrance and throughout the property? This may be an issue for those who are travelling alone and don’t have someone on hand to help them with heavy or large doors. Is there elevator access to all public areas in multi-storey properties? You may be able to easily get to your room, but you may not be able to easily get to some of the facilities if access is poor. 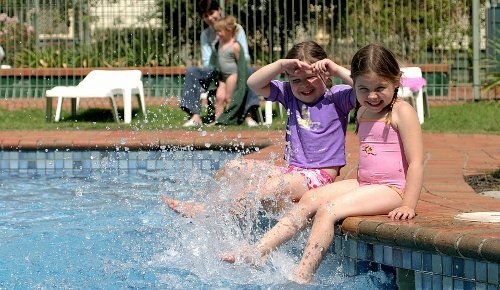 To find accommodation in Victoria which offers facilities for those with disabilities, go to accommodation search page on the Travel Victoria website and in the facilities section select disabled access along with other requirements you may have. 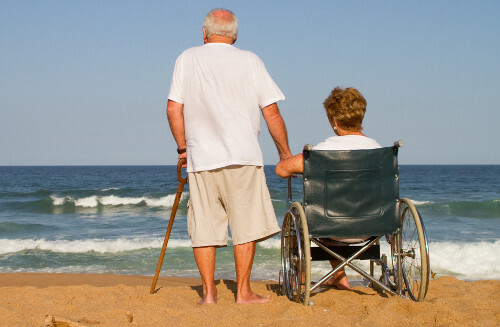 This will list all establishments which can cater, to some extent, for guests with mobility impairments. Don’t forget that when enquiring or booking your accommodation, it is important to make mention of your specific access requirements to ensure the establishment is able to meet your needs. 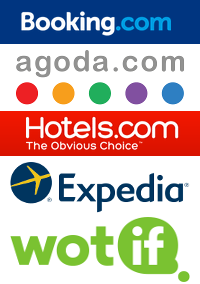 Wotif was established during 2000 in Australia as an online hotel booking service. It was bought by United States travel giant Expedia during late 2014. 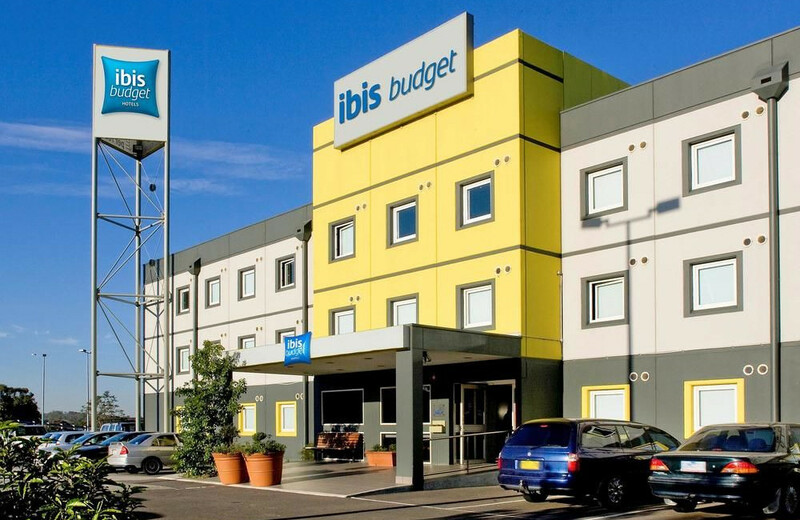 Up until recently, what set Wotif apart from other online booking and comparison service was its grid or matrix of hotel prices and availability. 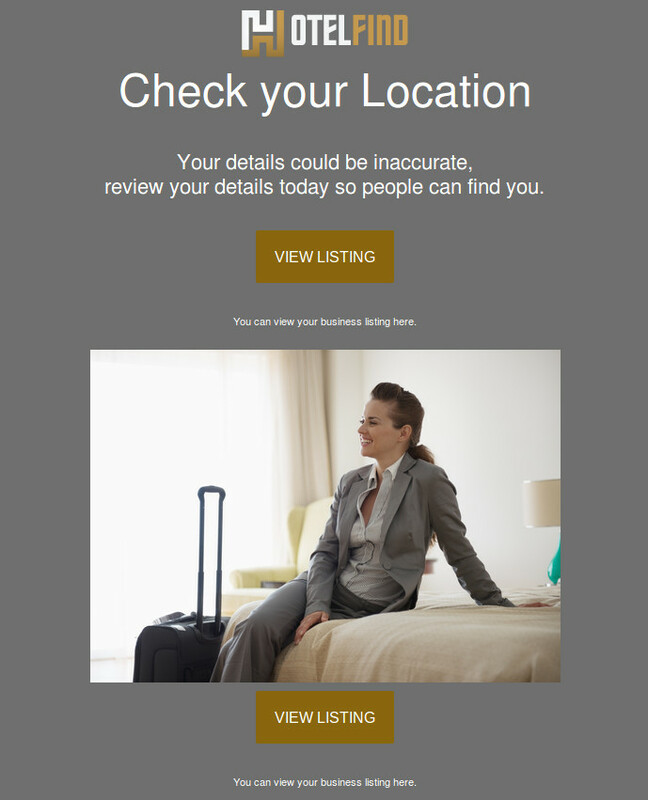 Many other competing services required a traveller to provide their exact check-in date and duration of stay before they were presented with a matching list of hotel availability options. 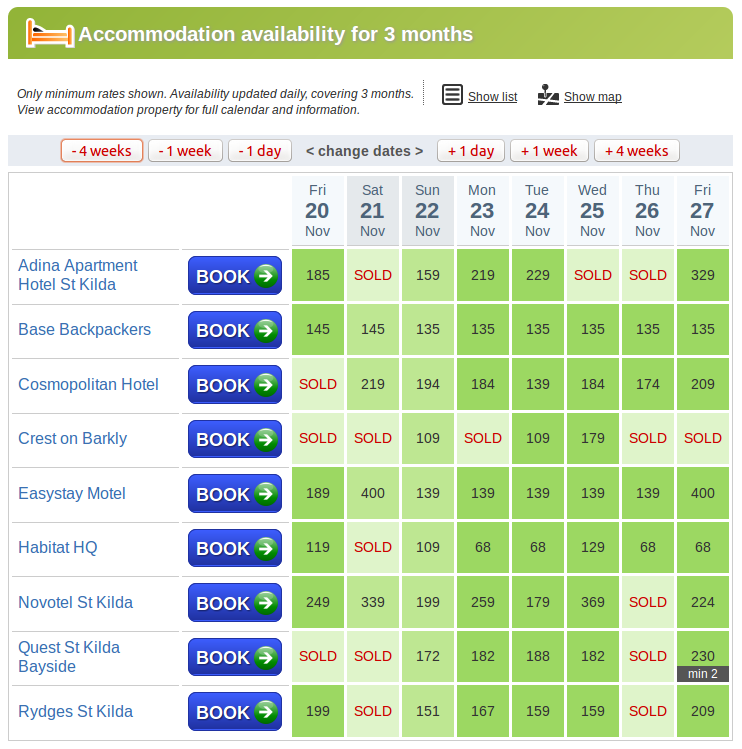 In striking contrast, Wotif simply presented an availability and pricing grid across all hotels so travellers could see at a glance their options. 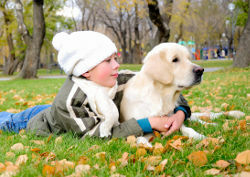 This particularly suited people who were flexible with their travel arrangements or who were hunting for the best deal. See the example below. 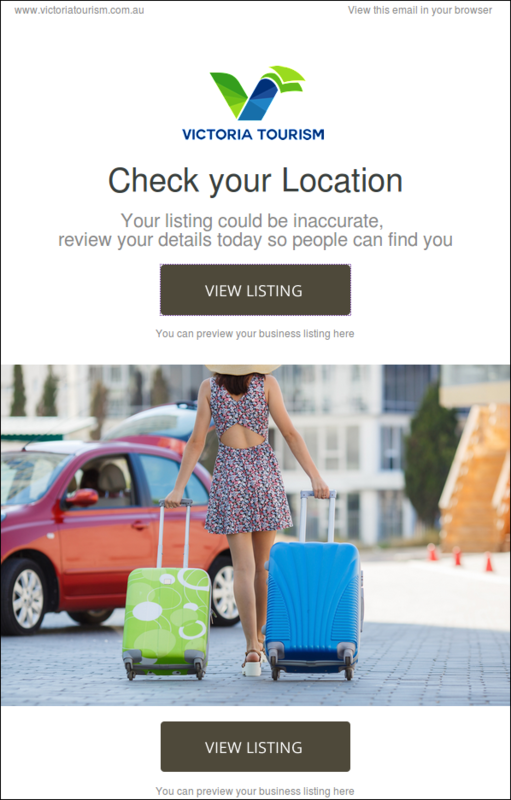 Someone with flexibility in regards to the duration of their stay would now need to conduct separate searches with different durations to see the availability and tariffs. 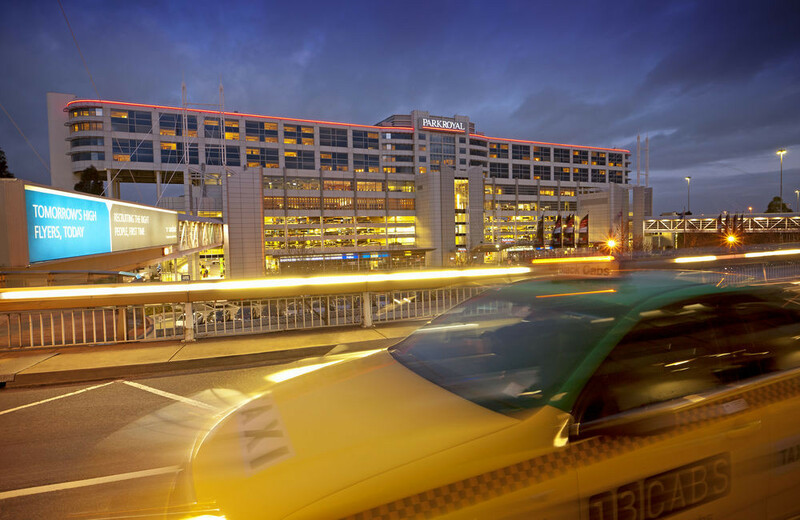 Whereas with Wotif’s former matrix, travellers could see, at a glance, whether they could change the length of their stay and which hotels could accommodate them. 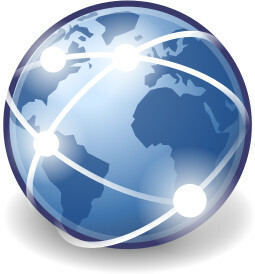 Many people have some degree of flexibility when it comes to their travel plans, particularly if it is for leisure purposes, so having to go through a time consuming process of trying various combinations of check-in dates and stay durations can seem very cumbersome with Wotif’s new Expedia interface than simply casting one’s eye over a availability grid which covers a range of accommodation properties, dates and prices. 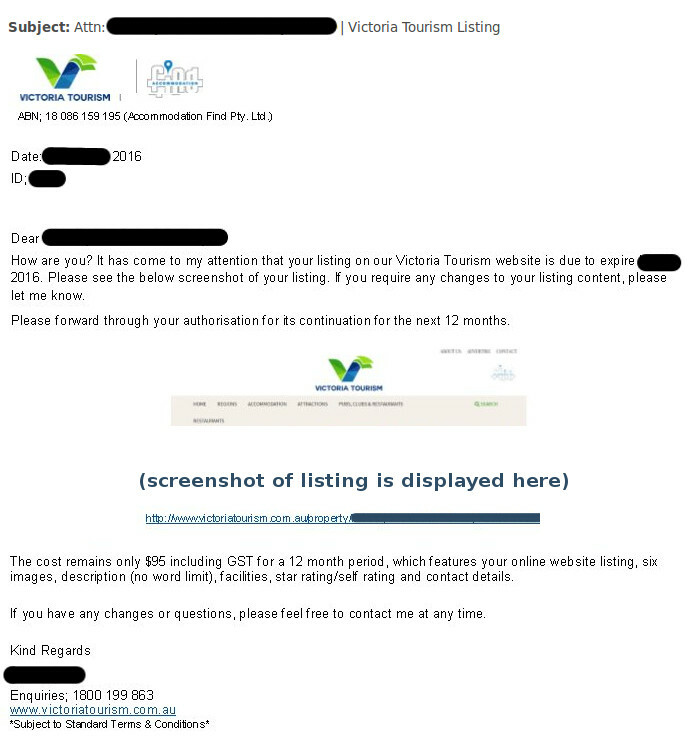 Like many others, we here at Travel Victoria missed the Wotif availability grid. So we did something about it! It is not a real-time availability matrix as it actually takes a few hours to build up the matrix of availability for the several hundred hotels in Victoria we have chosen to feature in the grid. At the moment, it is automatically updated once a day, with this process concluding in the late afternoon. It only covers 3 months. People looking for accommodation more than 3 months into the future will still need to do a traditional (and cumbersome) search by date. 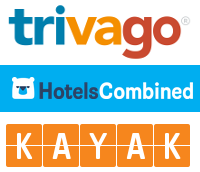 It only shows availability for stays which have a minimum duration of 3 nights or less, as testing for longer minimum stays would slow down the database update significantly. It only shows the base or minimum rate for the cheapest room. 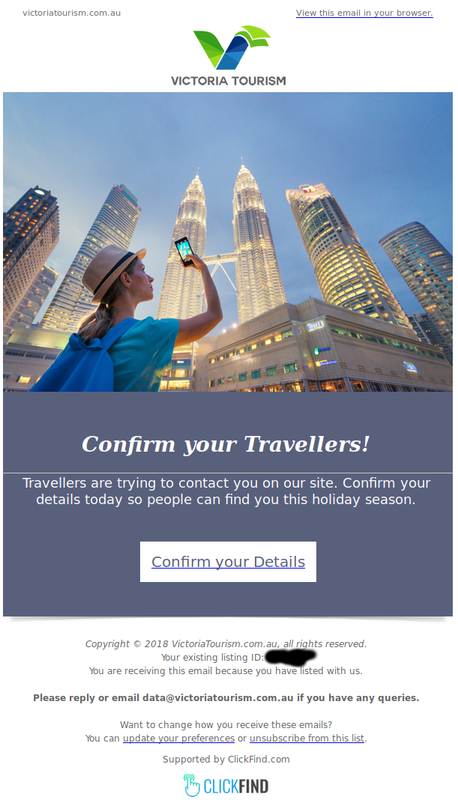 To get the rates for all room types and numbers of guests, people will still need to go through the regular Expedia style interface. Wotif actually had a second level grid which would open up if you restricted your search to a specific hotel, thus showing all room types and rates. 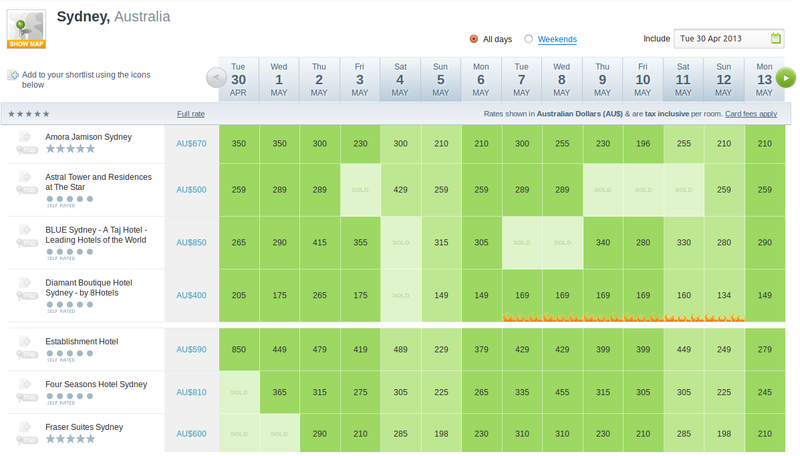 So the Wotif grid is back, alive and well, although in a much simpler form, now on the Travel Victoria website! 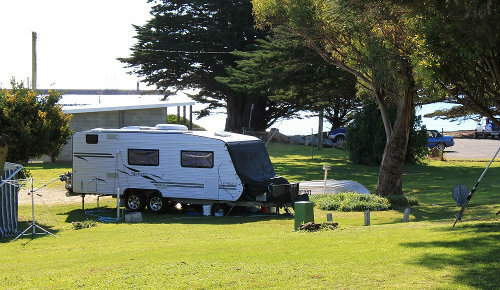 When travelling within Australia with your caravan, you need not let the waters of Bass Strait constrain your journey. Spirit of Tasmania, a passenger and vehicular ferry which traverses Bass Strait and links mainland Victoria with Tasmania, welcomes aboard those travelling with caravans, campervans and motorhomes. 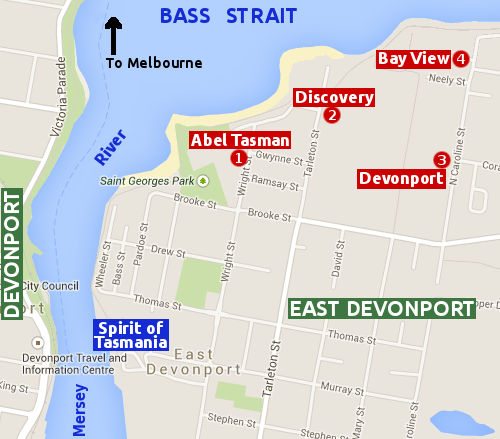 Between late December and Easter, Spirit of Tasmania operates a number of day sailing services which depart from both Melbourne (Station Pier at Port Melbourne) and Devonport at 9am. Check-in for those services is between 6:30am and 8:15am. 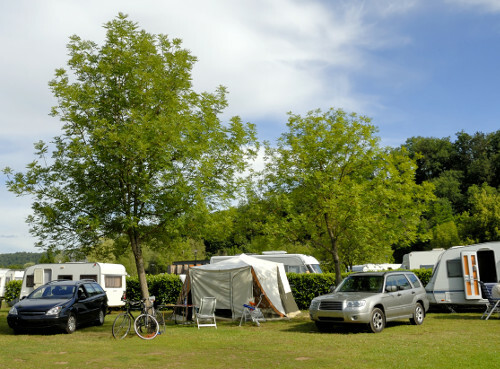 Due to the early morning check-in, those with caravans or motorhomes may find it convenient to stay in a caravan park close to the ferry terminal the night before, so that first thing in the morning they only have a short drive to board the boat. 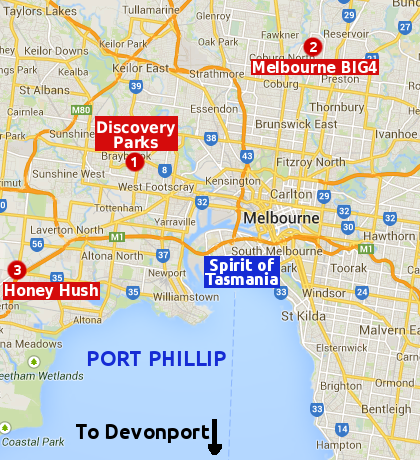 A common question we get asked is where are the nearest caravan parks to the Melbourne city centre? 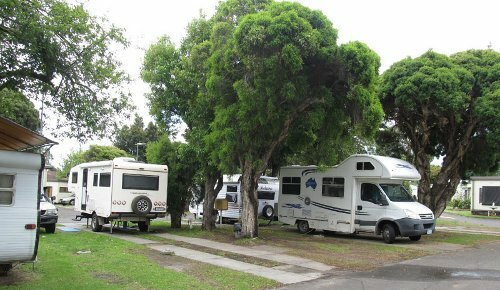 While travellers towing a caravan, those with campervans, motorhomes or tents are well catered for in rural and regional Victoria, choices are limited close to the centre of Melbourne. This is mainly due to the amount of space caravan parks would occupy in areas where land is at a premium. 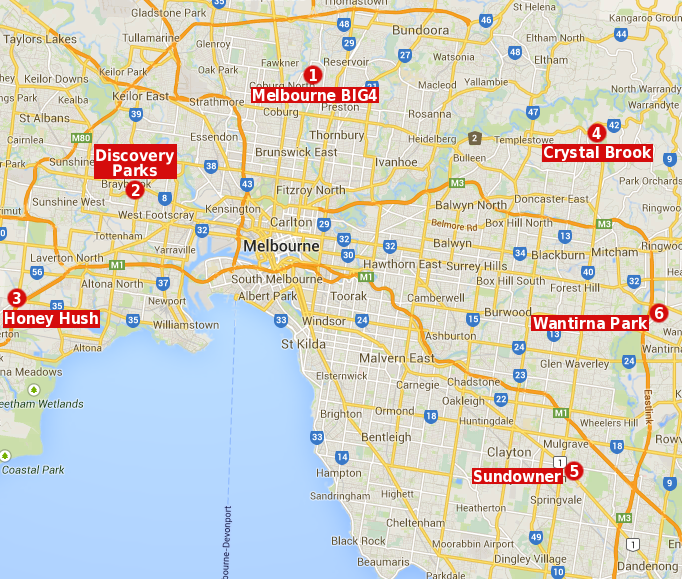 We have compiled a list of all the caravan parks that are within 25 kilometres drive of Melbourne’s CBD that permit short stays, which means they are suitable for holidaymakers, travellers or casual visitors looking for somewhere to stay with their caravan or campervan. See the map at the end to see the location of all these caravan parks in relation to each other and Melbourne’s city centre.